Lake Erie Correctional Institution is a privately run prison located in Conneaut Ohio. The facility is operated by Corrections Corporation of America under a contract with the Ohio Department of Rehabilitation and Corrections. Currently this facility houses approximately 1,790 minimum and medium security offenders. Inmates at Lake Erie Correctional Institution can take a comprehensive CAD program (computer aided drafting) that teaches three dimensional solid drafting and architectural modeling. Students begin by creating simple structures on AutoCAD then advance to a program called Revit. This unique program not only teaches the inmate a valuable skill, but allows them to participate in creating structures for use in the surrounding communities and for organizations like Habitat for Humanity. Offenders at Lake Erie Correctional Institution who do not possess a diploma can take adult basic education courses and eventually obtain a GED. Vocational programs offered at Lake Erie Correctional Institution include office technology, drywall, computer and electronics repair, welding, video editing, plumbing, HVAC, electrical systems, culinary arts, and tailoring. The Chaplain's office is responsible for providing multiple worship services to inmates. 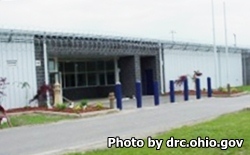 Visitation at Lake Erie Correctional Institution occurs on Thursdays, Fridays, Saturdays and Sundays in three sessions from 8am-10:30am, 12pm-2:30pm, and from 3pm-5:30pm. Visits are two and half hours in duration and visitors stop being processed into visiting 30 minutes before the end of the session. The unit the inmate is located in will decide which session they are allowed to have visits, this rotates every six months. Contact the facility for the current visitation schedule or email them at LakeErieVisitation@cca.com.